With our impressive and growing account base we confidently provide a first class professional car service to all our valuable customers, with a prompt service based on comfort, safety and above all discretion. We provide credit facility to all business customers who have a requirement for regular minicab and executive cars service. Contact us today to discuss your requirement and set up your account. 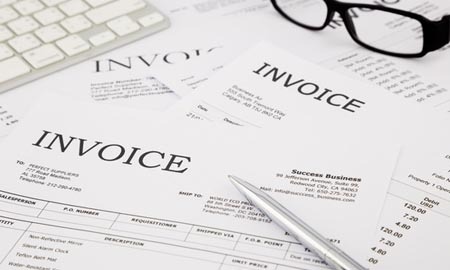 All our credit customers receive itemised invoices that lists all bookings and any extra item such as car park charges. We can also provide the invoices in soft format as spreadsheets or PDF documents for easier reference checking of the invoice lines. We can also integrate our invoicing with your in-house accounting system if there are a large amount of bookings are made on regular basis. Customers with large demands for the private hire service can benefit from our customised pricing scheme. We analyse your transport needs and provide you with a tailored made customised pricing that suits your business. Our customised pricing includes both fixed price journeys and customised mileage rates. We offer all our business accounts their own online booking platform that allows them to place any booking with just a few clicks from anywhere with access to the web. Your own customised online portal includes the list of pickup and drop off addresses that are regularly used by your company as well as your own customised pricing and authorised users. The portal is highly secure and is password protected.